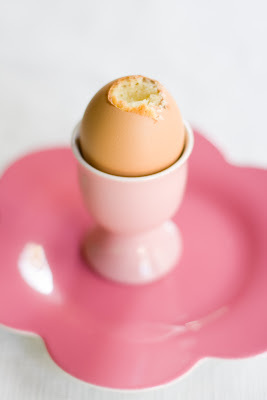 Homepage > I boiled an egg, i broke an egg, i ate a cupcake? 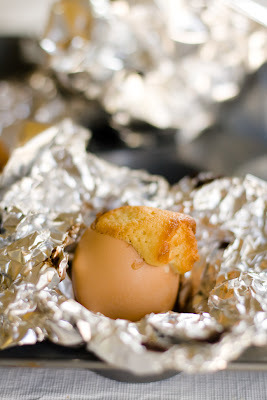 I boiled an egg, i broke an egg, i ate a cupcake? 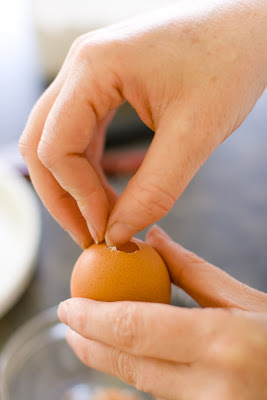 Once you have poked a tiny hole, peel back the edges of the hole to expand it a bit. The holes need to be large enough to fit the tip of a piping bag inside. You can always make the hole larger when you are ready to pipe so err on the smaller side during this step. 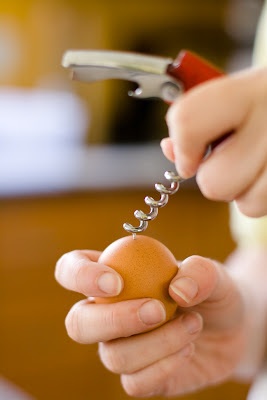 Turn the egg upside-down and dump out the contents. 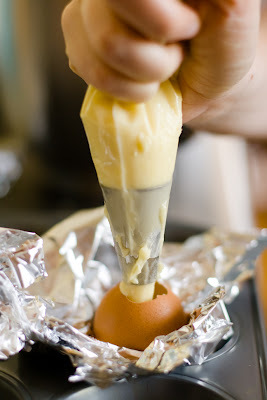 Keep the contents of one egg separate to use in the cake recipe. 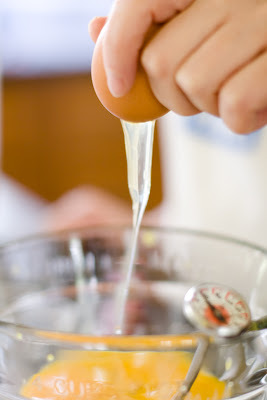 If you plan on using the other eggs for baking, it might be helpful to store them in small plastic containers in groups of two (otherwise it will be hard for you to later tell how much of your big bowl is two eggs). You may wonder why there is a thermometer in the photo. I used the tip of the thermometer to help get all of the egg out of the shell. 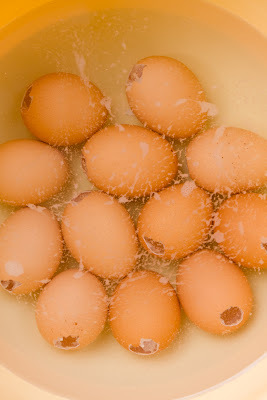 Rinse the egg shells in cold water and lay the eggs hole side down on a paper towel to dry. In a large bowl, mix one egg and sugar until light and creamy. Load the batter into a piping bag fitted with a large round tip. Make sure that the tip can fit all of the way inside of the egg hole. If it can't, expand the hole a little bit at a time until it fits. 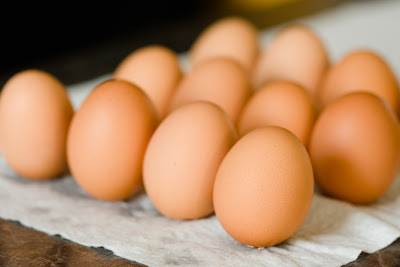 Fill your eggs about 3/4 full with batter. This is the tricky part. If you underfill the eggs, you won't have a complete cake egg inside when you crack them after baking. If you overfill the eggs, cake will overflow out of the egg during baking. the excess cake and clean the shell with a damp towel. I found that it was best to let the cake overflow out of the top of the egg and then simply pick it off (eat it) and clean the shell with a damp towel before serving. Bake the eggs at 350 F for 23 minutes.